We’d love your help. 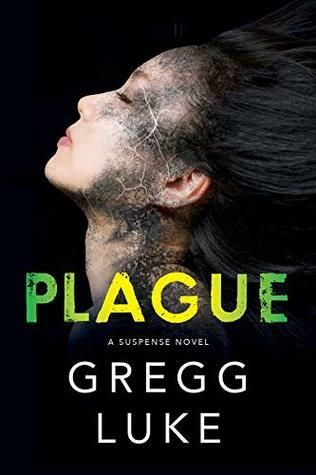 Let us know what’s wrong with this preview of Plague by Gregg Luke. To ask other readers questions about Plague, please sign up. Fascinating and compelling, Plague is a trail of addictive bread crumbs you can't wait to follow. With an intricately designed plot and incredible detail, Gregg Luke has woven his finest novel yet. Plague is definitely this year's must-read novel. I liked that in this one, the reader sees through several characters point of view. You see th I like to be a little scared when I know that I’m safe at home. I love the way this author makes his books so suspenseful. The reader never knows what will be coming next. And it’s just so well done! I have to say that out of all of this author's books (that I've read), this was probably one of the least intense and fast paced. It progressed slowly and lacked some of the intense forward momentum I've come to know in most of his other books. Things picked u Author Gregg Luke has such a creepy, creative mind and I mean that in the best way. His books always make me wonder how he comes up with such crazy ideas. I would scare myself trying to come up with the things he writes about in his books! There were times when the scientific jargon was over my head or didn't capture my full attention, but this story of predicting a future plague was fascinating and at times, Mitch's trip to the CDC turns terrifying when he's "kidnapped" and taken on a scavenger hunt around the world. He's made some interesting conclusions, but what he discovers along the way is startling. He assistant is also being held hostage and the story goes back and forth between these two settings in this race against time. Publi From page one, author Gregg Luke has readers gripping the edge of their seats. The intense suspense of the story picks up in the first chapter and doesn’t slow down until the last page is turned. Not only is there suspense though, there is a romance element. Readers will anticipate the thrill from turn of every page in this intense romantic suspense novel. This is a story that will keep readers up late past their bedtime wondering what will happen next.